The Flash and The Arrow have some interesting super hero and villains of their own. Sometimes they mix both of them, like in the case of Savage fighting The Flash and The Arrow. Interesting thing is that they don’t win against Savage. Since the Arrow is so focused on fighting Damien and the Flash is figuring out how to beat Zoom, the other stars don’t get as much airtime as fans would like….until Legends of Tomorrow. DC Comics’ recently released Legends of Tomorrow is in two parts, part one introduces us to the main characters and part two gets the ball rolling. Or so must have been the producer’s plan…. Rip Hunter is the man with burning revenge in his eyes. Why? Because in the future year of 2166 a mad man called Vandal Savage conquers the entire earth by doing the unspeakable – killing billions of people! One of them is Rip Hunter’s wife and the other is his son. Hunter is torn inside! He comes up with an ambitious plan to travel back in time to 2016, and assemble a team of super heroes in an attempt to change the past, and save the world including his family. He goes to both Starling City (and somehow doesn’t pick the arrow) and Central City (we don’t even see the flash) and selects his crew of legends. Can they become true legends?? Featuring in Season 3 in the arrow and becoming a shrinking guy in The Arrow season 4 episode 6, Captain Atom can shrink into the size of an ant. He is the nerdy CEO of Palmer Technologies. His main invention was making a nano suit which makes him capable of shrinking. His tech has the same magic as Marvels Ant-man and the guy can shrink into a hole or grow into a punch to devastating effect. His role is played by Brandon Routh – the star of 2006 Superman Returns. Straight from The Flash, these are actually 3 men fused into one superhero, but you have to see The Flash to understand what happened with those three. And weirdly enough, of them is gay in real life. In legends, Professor Martin gets a more prominent and interesting role with almost 50% of screen time focused on him – maybe because he is the top scientist in the group? Jax is still fun and loves a fight. The two literally combine into a fiery Firestorm. 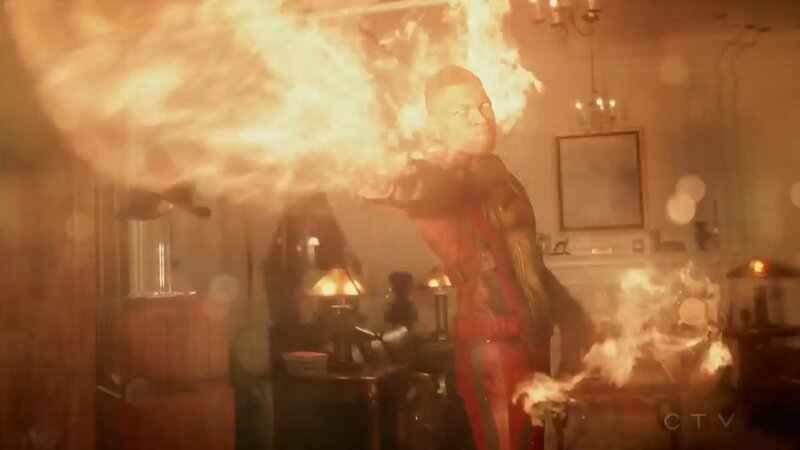 In Legends of Tomorrow, Firestorm absorbs the energy of a nuclear bomb – and adds all that energy to his super powers. Unfortunately Vandal Savage is not killed by a direct nuclear blast hit from Firestorm – makes you wonder, how else can the legends kill this guy?? She was known as the “Canary” in Arrow season two and even though she was somehow she was later killed in season three, we see her alive and well in Legends of Tomorrow. What the hell happened to her in The Arrow Season 4?? Previous articleWho will win the race?